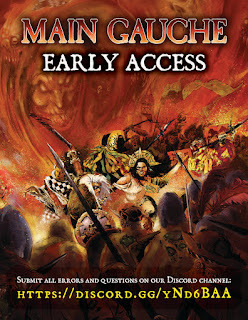 The Kickstarter campaign for the Zweihänder supplement Main Gauche has barely ended, but the early access documents are already here, and available on DriveThruRPG for those who missed the campaign. No layout or art yet, just raw content waiting to be playtested. 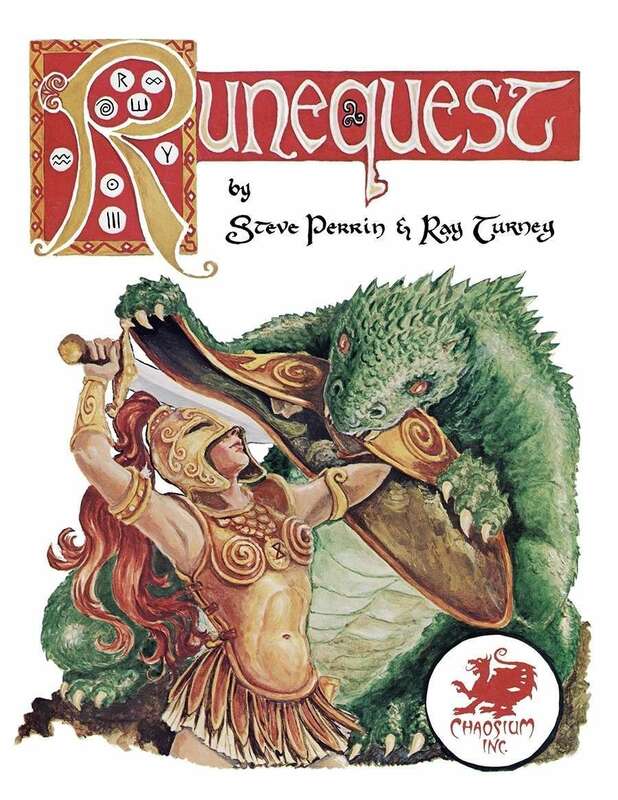 I didn't have the time yet to read them in depth since I'm still wading through the pages of the new WFRP4e core rulebook, but what I saw so far while flipping through the pages seemed fun. New professions (including Blitzballer, Grognard, and Hexer), expanded arsenal with special materials, rules for vehicles, more alchemy recipes (including mutagens), more daemons (including daemonic gifts and taints), covenant magick (with new rituals and sigils), monster creation rules, tools for running conspiracy, and a new adventure called There's Something About Marié. 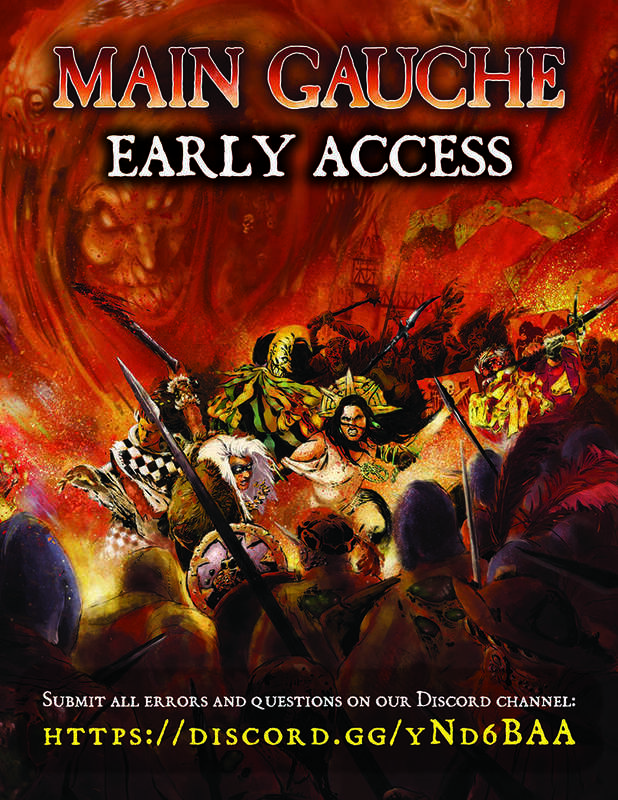 Some of my players are already drooling because of the new professions, and since we reached the point where their characters are ready to move into second tier, I'm eager to allow them to choose something from Main Gauche and playtest the hell out of it. This meany my Old World will drift probably further away from lore accuracy, not that I ever cared about it. I have gnomes, zoats, gods of Law in my campaign after all (should have mentioned fimir too, but they are canon again).